L5R 4E: The Book of Air PDF Available Now! Air is the most mercurial of elements, from the cool breeze that comforts a dying soldier to the cutting wind that slices away at the rock, carving canyons and spires from the mighty mountains. The essence of Air is within all things, giving life to the honeyed words of the courtier, lending speed to the brilliant steel of the duelist, carrying the arrow of the archer, and delivering the hurricane force of a devout priest. Some believe that Air is the least powerful of the elements. Those who believe so are fools. 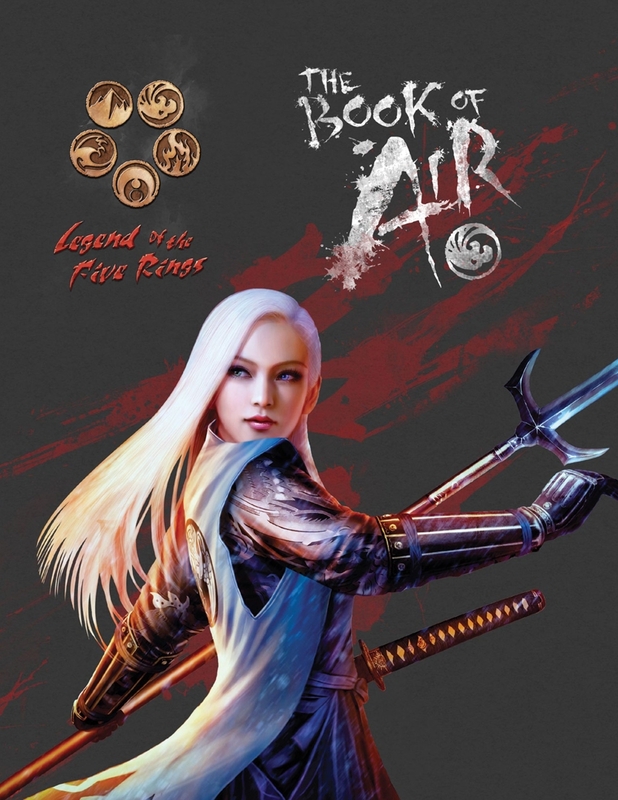 The Book of Air is the first in a new series of sourcebooks for the Legend of the Five Rings Roleplaying Game, the Elemental Series, each of which focuses on one of the five iconic rings that give the game its name. The Book of Air explores the many different aspects of Air in the setting, including the many activities and endeavors samurai attempt that are tied to the Air ring. – More information on the iaijutsu dueling system of Rokugan, one of the most iconic elements of the samurai story in Legend of the Five Rings. – An in-depth examination of archery, its history and opinion of those in the Empire, including new Paths. – The power of Air magic via the Air kami, including illusion, illumination, and communication. – The potency of Air-related Kiho for the monks of the Brotherhood of Shinsei. – An entire campaign setting closely tied to the themes of Air. The Book of Air is now available in PDF at DriveThruRPG.com!